The bear comes out of the tent. He’s looking for Bill! I told “THE BEAR” story and sang campfire songs with 4th grade students at MCARLM’s 2017 Gold Rush Days at San Lorenzo Park. I saw fifteen groups of kids over the two days of the May 24th-25th event. Among other things, they also visited a blacksmith shop, a one-room schoolhouse, a general store and a chuck wagon. Best of all, they panned for gold! 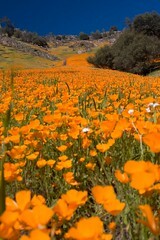 My many colleagues did a great job and California history came to life! Bill scared that old bear! You guessed it! I truly am stuck up. 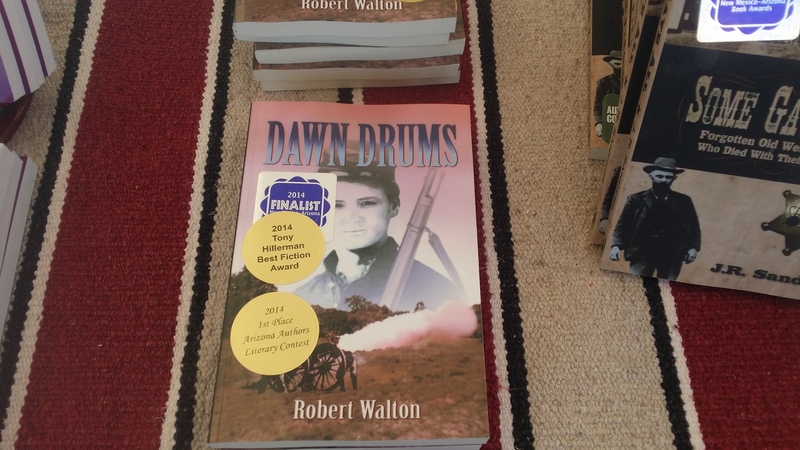 My publisher’s display of Dawn Drums at Gold Rush Days proves it beyond a doubt!